An undocumented immigrant was arrested by Immigration and Customs Enforcement (ICE) officers after trying to deliver a pizza to a military post in Brooklyn, New York, according to reports and city officials. Spanish-language publications El Diario NY and Telemundo 47, as well as other outlets, reported that Pablo Villavicencio, originally from Ecuador, was arrested on Friday while delivering an order at Fort Hamilton garrison in south Brooklyn. 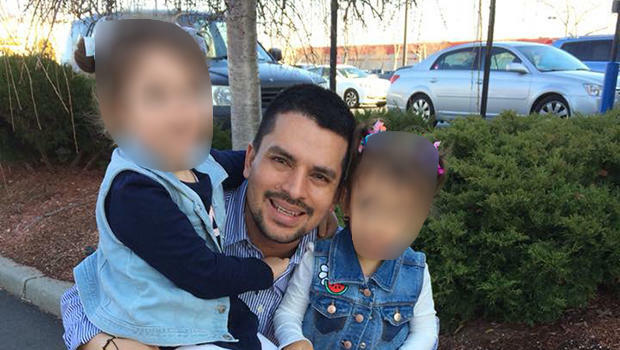 Villavicencio spoke to the New York Post from detention, saying he was delivering food to the military base "and they detained me." An ICE spokeswoman told the paper that a judge had ordered Villavicencio deported in 2010. "I have been there before and always go in and never have had any problems, they actually know me and the sergeant knows me for some time doing delivery," Villavicencio told the Post. The paper reports he and his wife, an American citizen, have two young daughters and he had applied for a green card. "Last Friday there was a different security guard and he told me I needed to go get another pass to enter," he said. "And I proceeded to do that. A tall man with dark skin started to ask me many questions, he asked me about why I didn't have any Social Security card." According to Villavicencio, that man called the New York City Police Department (NYPD) "and the NYPD told him I didn't have any record, that I was clean. But the man said 'I don't care,' he said I need to keep waiting and he called ICE." A Fort Hamilton spokesperson provided its version of events, saying that on Friday at approximately 11 a.m. "an individual attempted to gain access to Fort Hamilton to make a delivery without valid Department of Defense identification." "The person was directed to the Visitor Control Center to obtain a daily pass. Upon signing a waiver permitting a background check, Department of the Army Access Control standard for all visitors, an active Immigration and Customs Enforcement warrant was discovered on file. This prompted the Department of Emergency Services personnel to contact the proper authorities, and transport the individual to DES for further processing, and released to U.S. Immigration and Customs Enforcement," the spokesperson said. On Wednesday, New York City Councilman Justin Brannan and Brooklyn Borough President Eric Adams spoke out against the incident during a press conference. "Tell me how this is American," Brannan tweeted. "Tell me how taking Pablo off the street makes our nation safer. I'm listening." The New York Immigration Commission also issued a statement, saying it is "absolutely disgusting when the strongest military in the world punches down by going after pizza delivery men." "Immigrant New Yorkers like Pablo Villavicencio provide for their families by working hard and making sacrifices, they shouldn't be ripped from their communities and their crying children for pursuing the ever dimmer American dream," Steven Choi, executive director of the coalition, said in a statement. A rally against ICE was planned for Wednesday evening in Bay Ridge, Brooklyn, at 6 p.m. local time.